FREE New Summer Entree Salad At Noodles & Company! 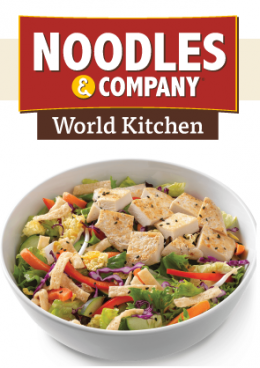 You are here: Home / FREEbies / FREE New Summer Entree Salad At Noodles & Company! Noodles & Company is introducing new salads for this summer and they are inviting you to try one for FREE! Find your local Noodles & Company and RSVP for you (and a friend) to try one of these new salads next Monday, or Tuesday, May 23 or 24th! Limited slots at each location so don’t wait to sign up!